and sturdy wall hanger for optimal wall hanging. The standard wrap features a 3/4" thick stretcher bar. The standard wrap canvas is a more classical look while it hangs on the wall. 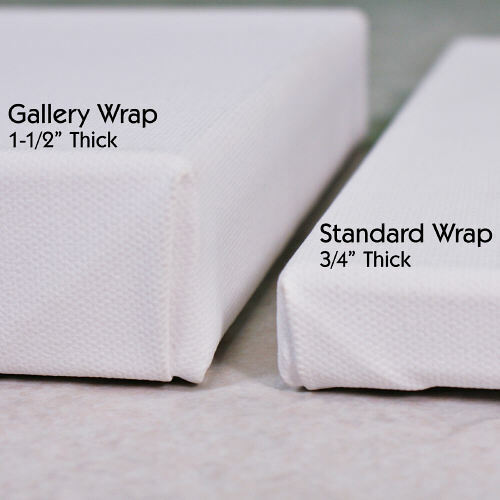 The gallery wrap features a 1 1/2" thick stretcher bar. 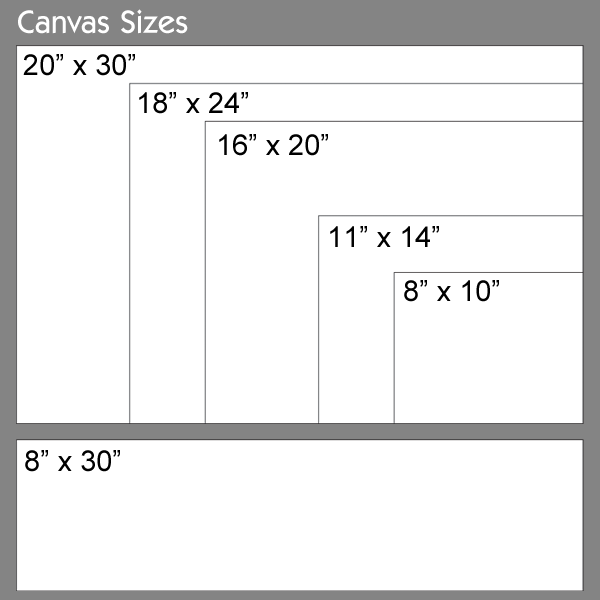 The gallery wrap canvas is a more substantial look while it hangs on the wall. 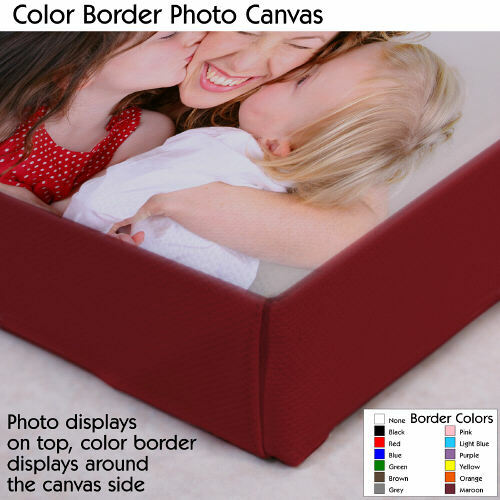 Each photo canvas offers 13 border color options. The no border color option features only your supplied digital photo. 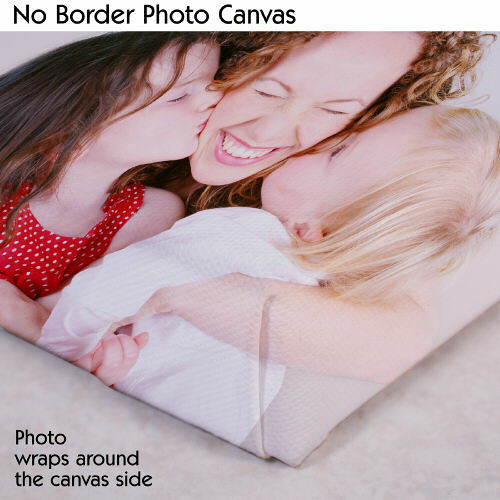 Your photo is then printed on the canvas on the front and continuing on all four sides. We recommend using a digital photo with a wide background to prevent your subject from being shown on the sides of the canvas. You have the option of chosing between 12 vibrant border colors for decorating the sides of your photo canvas. The border color appears only on the sides of the canvas and will not appear on the front of the canvas.